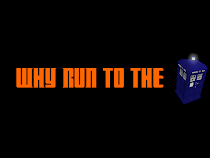 Why Run to the TARDIS? All your fandom. All in one place. Here's a deleted scene from Legends of Tomorrow season 3. Original content ©Ben Mackowski. All other content copyright its creator. Powered by Blogger.